Our special Valentine’s Day cruise features a glass of champagne upon boarding, exquisite warm buffet dinner on board with a free drink you can choose from our wide selection and live gipsy and Hungarian music creating a truly special romantic atmosphere for you and for the one you love. At the end of the cruise we would like you to accept a small gift from our company. You will have the chance to try out all of the greatest dishes the Hungarian kitchen can offer, while enjoying traditional gypsy and folk music performed by three members of the world famous Rajkó Folk Ensemble and Orchestra. The wide variety of Hungarian and international dishes are prepared by world champion food sculptor Péter Molnárka who ensured that they will meet all your expectations, whether you’re a vegetarian, a gourmet or a real sweet-tooth. What makes this cruise really special is its timing. With this 2 hour cruise you will have a chance to see the city with all of its illuminated glory. 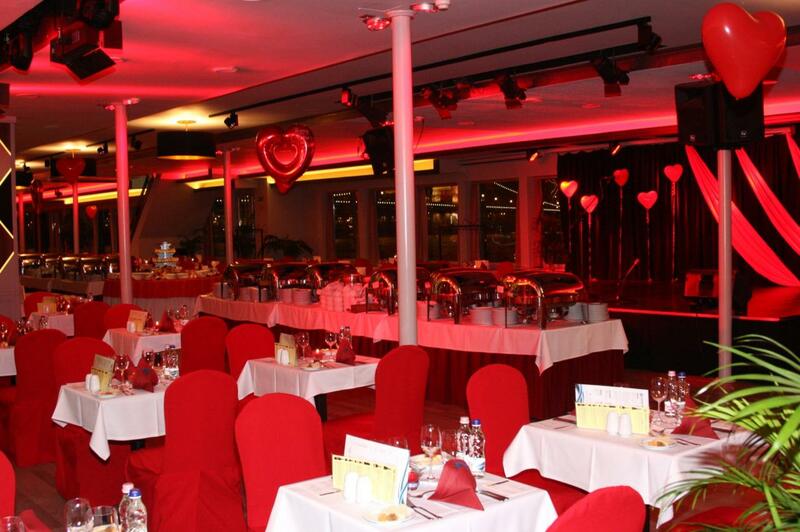 The ships are heated and have open air balconies where you can freely admire the exquisite night panorama. You can choose only wine tasting option too. In that case the ticket price includes 7 types of wine.